Former captain of Nigeria U17 and 20 team Musa Muhammed has recapture the form that made Turkish side Istanbul Basaksehir splashed big to sign him three years ago. Musa is presently out on his second consecutive Loan Spell from the team where he has failed to break into the first team, hence didn’t make a single league appearance in two years. Last season he had a six months Loan spell with Bosnian side Zeljeznicar Sarajevo where he made nine appearances, but upon his return to Turkey there was still no spot for him at Istanbul Basaksehir. 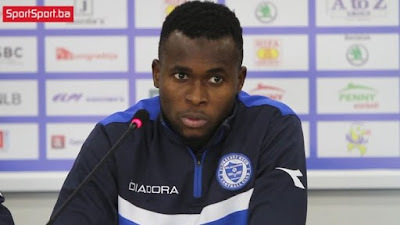 He was shipped out on another loan, this time around to Locomotive Plovdiv of Bulgaria, and he has highly influential for the team since his debut in the derby game against Slavia Sofia. Now deployed as a left back as opposed to his preferred right back spot, the 21 year old has played in the last seven games of Locomotive Plovdiv. His well known ability of delivering pin point crosses has also helped him pick one assist so far aside his solid displays in his primary role as a defender.